December 19, 2016, New Delhi: The cash crisis seems to be going on forever with no end in sight. The lines outside ATMs did not seem to be shortening for a long time. Most of the banks claim that they are not getting enough cash to dispense to customers and to refill their ATMs multiple times in a day. But looks like there may be some relief coming for the consumers. 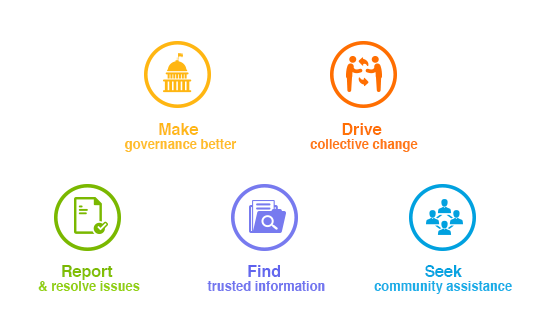 Citizen engagement platform LocalCircles,conducted its weekly survey and found that 48% people who tried to withdraw money from an ATM were unable to get money between December 16-18th. This is a mild improvement from the 66% who said that they were unable to find cash in an ATM between December 11-13th and 60% between Dec 1-2. This percentage stood at 66% during the first weekend post demonetisation, i.e. between November 11-13th. 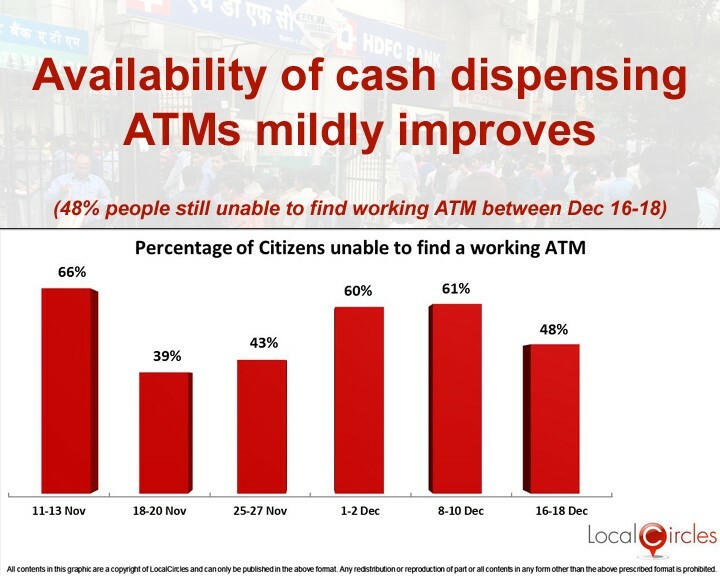 While 48% citizens not being able to find a cash dispensing ATM is still a very high number, nevertheless the trend from this last weekend shows signs of hope. Out of the 8000 to 9000 citizens that voted on each poll during the past 6 weeks, a large number said that getting cash from ATMs is still a big challenge and their work productivity is hampered since they have to stand in lines for long hours. Per citizens and some bankers, withdrawals from the bank are still being given a higher priority in most cases and ATMs are being replenished with whatever is remaining. In some other cases, ATMs are not being replenished at all because the ATMs are at stand alone locations or there isn’t enough security. Citizens have been suggesting that the ATMs should be refilled atleast 3 times a day so that they could continuously dispense money.